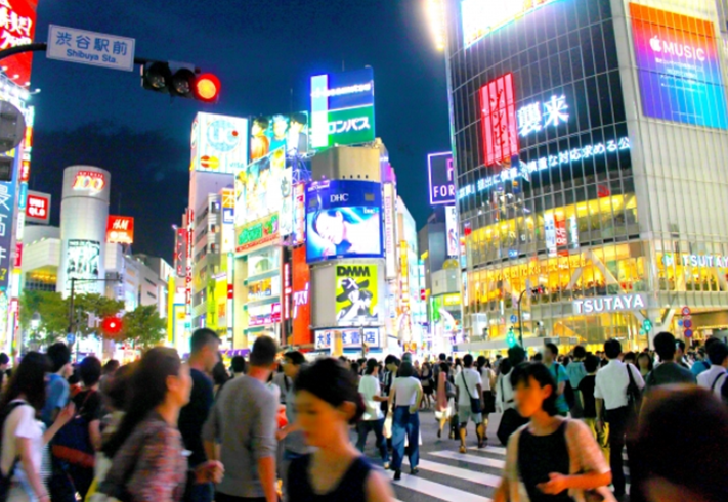 It is highly recommended to visit the busiest intersection in Tokyo Japan (probably busiest in the world). 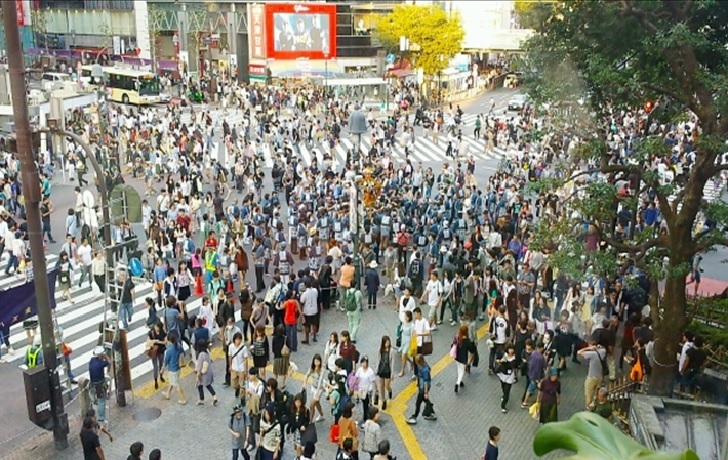 Shibuya scramble crossing outside Shibuya station in Tokyo is filled with pedestrian anytime morning to evening. Many type of pedestrian wakj such a shoppers, couples, students and businesspersons on the crossing. When the lights for pedestrians turn green, they all turn green at the same time for all directions and pedestrians surge into the giant intersection. Thousand of people, and at peak time said to be over 3,000 people cross at a time of green lights coming from all directions. It uses energy to cross it to avoid hitting others and pushed by behind. Highlight of visual of this area is that pedestrians do not collide even thousand of people cross at same time. If you like to watch Shibuya scramble crossing at peak time, it would be best time “Friday or Saturday night” or “Saturday or Sunday afternoon”. Actually Shibuya scramble crossing is most impressive at night because a lot of buildings use neon-light and it gives feeling of visiting huge city. From second floor of Sturbacks coffee located at north side of the crosssing, it is available to look whole scramble crossing filled with thousand of people. On the rainy day, the view from the second floor would be nice because umbrella used pedestrians can be seen like colorful flowers. 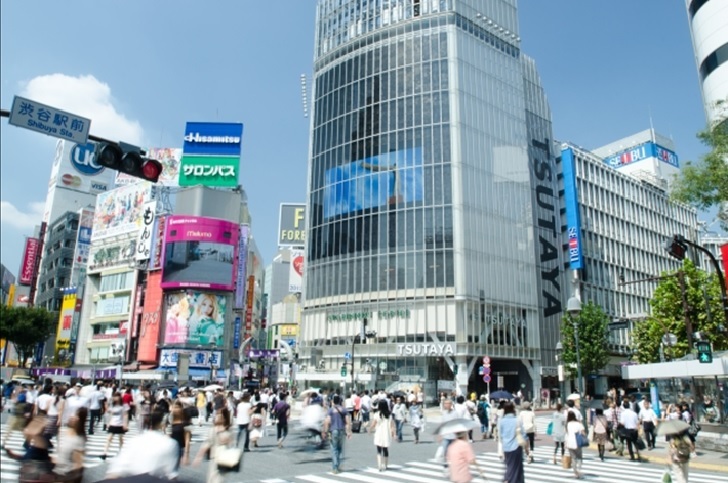 Hachiko statue is also located in quite near the shibuya scramble crossing and the statue would be nice point to meet up with your friends to watch the crossing.